In addition to requiring a high level of fitness, long-distance running calls for effective mind management. This is particularly true of marathons, where your body is so low on energy after a certain point that only a strong belief in your performance will take you to the finishing line. This is easier said than done, especially after the midpoint of the race. 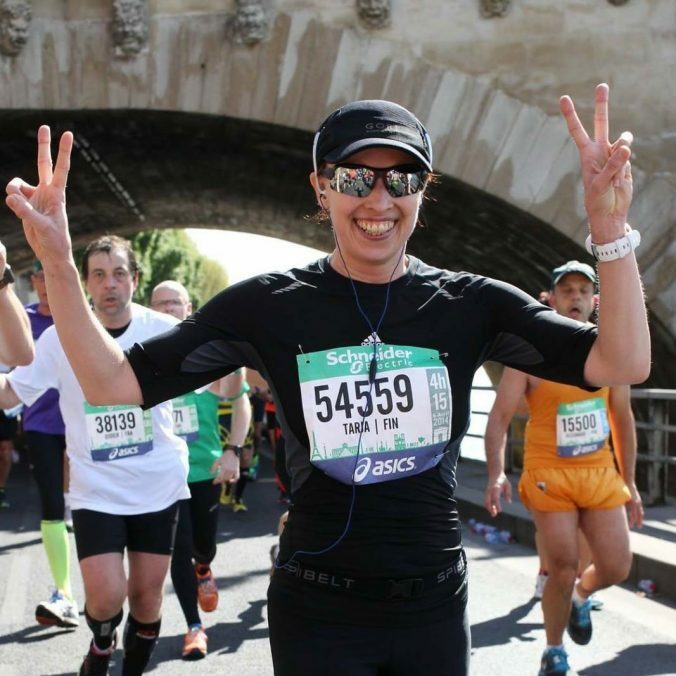 Fortunately, however, you can train your brain to better manage the pressures of a marathon. I asked Jarmo Liukkonen, Professor of Sport Pedagogy at the University of Jyväskylä, for tips on mind management. Focus on your goal before and during the run. Only think about where you’re going and what you need to do to get there. Remember what you did the last time you succeeded. Repeat those routines on the eve and morning of the day of the race. Do what you did before to make running feel easier. Think about how you feel before the start, around the midpoint of the race or during the home stretch. You can tune in to the emotions you have felt during successful performances. During the race, focus on what you are feeling: is it the right emotion for that moment? By means of visualisation, you can learn to raise your self-confidence with every inhale. You can use various relaxation methods during the run. Your performance will not be optimal if you are tense or unsure of yourself. You can reduce bodily friction by focusing on a specific muscle or muscle group or on your thoughts. Relaxation is also the key to effective post-race recovery. Do not process your experience until you have recovered from the post-race outburst of emotion. If possible, discuss your experience with someone else. Honestly analyse where you succeeded and what you could have done better. This is also important in ensuring that your mind won’t get stuck on any negative experiences. You’ll be able to learn from them instead.